Vida Samadzai - Miss Afghanistan 2003, and one of the bravest pageant contestants ever. Vida Samadzai (b. February 22, 1978) was Miss Afghanistan 2003 and Ms. America ® 2005-06. As the first Afghan woman to participate in an international beauty pageant since 1974, her appearance in a red bikini in the 2003 edition of Miss Earth pageant created controversy in her native country. Samadzai, an ethnic Pashtun, was born and raised in Kabul, Afghanistan, and moved to the U.S. in 1996 in order to escape the Taliban. Her family was involved in the Government Affairs and had to leave quickly. She has an Afghan Passport and a USA passport. She has dual citizenship. She competed in her first pageant, Ms. America ® International 2002, and came in as second runner-up. Vida enjoyed competing in the pageant and wanted to do some more pageants. She was submitted for the Miss Earth 2003 pageant as Miss Afghanistan. She was accepted and had less than 5 days to get ready. Samadzai said her participation in the contest sent out a powerful message to her fellow countrywomen. Miss Afghanistan Earth 2003 during the National Costume presentation in Manila Philippines. Samadzai also helped found a US-based women's charity that seeks to raise awareness of women's rights and education in the Afghanistan.She was the second Miss Afghanistan to take part in a beauty contest since Zohra Daoud was crowned Miss Afghanistan in 1974. Her participation in the Miss Earth beauty pageant in 2003 was condemned by the Afghan Supreme Court, saying such a display of the female body goes against Islamic law and Afghan culture. In particular, traditionalists objected to her appearance in a red bikini during the pageant's press presentation. She was given a special "Beauty for a Cause" award at that year's Miss Earth competition.Her participation in the beauty contest can be considered to be a sharp contrast to the beliefs of the former Taliban regime, which demanded that women wear coverings, or burqas, from head to toe whenever they went out in public.The following year, Samadzai returned to the Philippines. 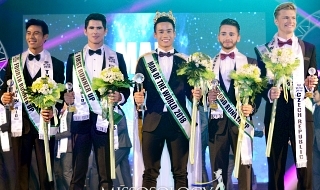 She was among the 11 jurors who helped choose Priscilla Meirelles as Miss Earth 2004; on coronation night, the young women’s rights activist wore a gown, saying: “I don’t know if they’ll have a problem this time because I’m not showing any skin or wearing a swimsuit”. On April 9, 2005, she competed in Miss Asia Pacific-International - 2005, and won the Miss Friendship award. On May 1, 2005, Vida entered into the Ms. America ® 2005-06 and won. She has a USA passport also and is a US Citizen so she is eligible to compete. 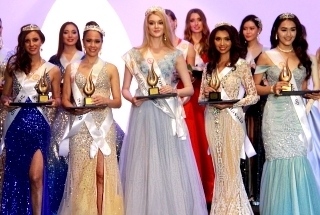 The pageant was based on Beauty of Face, Interview and Humanitarian Efforts / Volunteer Service. Her prize was to compete in the Miss Tourism International Queen Pageant, held in China. On July 3, 2005 she represented the United States (America) at Miss Tourism Queen International 2005, where she was named the first Miss Personality in the pageant's history. 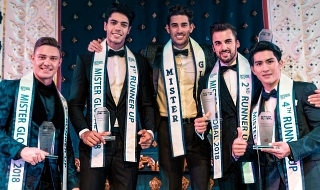 At the Miss Tourism International Queen pageant a female producer from Bollywood, India approached Vida and invited her to India to model in several charity fashion shows including one with Miss Universe. And since then Vida has been a successful actress, model and spokesperson. She speaks five languages fluently and is involved with helping the Afghan Refugees in Pakistan. Her life ambition is to work for the United Nations and be a leader and helper for Afghan women whose rights were suppressed for over a decade. During her reign as MS. AMERICA ® 2005-06 she received the Presidential Award from the President of the United States for her Humanitarian Efforts and Volunteer Service in America and throughout the world. "I would like to make people aware that, as Afghan women, we are talented, intelligent and beautiful." "Now, women can go to school, go to work, they're free. They don't have to wear those long burqas anymore." "If I offended some people, some women in Afghanistan, I apologize. I represent myself. Afghan women should be allowed to do anything they want. Their rights shouldn’t be suppressed. They should speak their mind, to be whatever they want to be." Vida should not only be seen as a role model for afghan women but to all women living under oppression!!!!! !